Incl. irrigation kit, ready for use! Cannot operate continuously, 3 hours max. 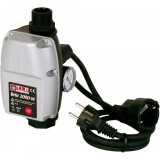 The GPS 3200 Plus irrigation pump is a ready-to-use set to start watering your garden straightaway. 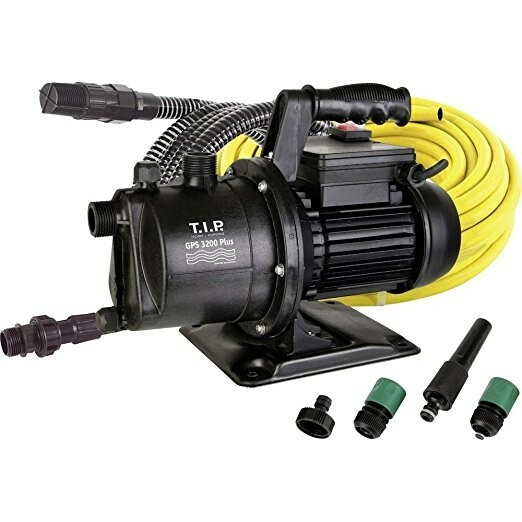 Thanks to the included suction hose, garden hose, and fittings, you can get started with this kit immediately. 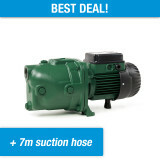 It is also possible to supply a series of sprinkler simultaneously with this garden pump. 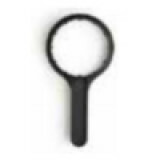 If you work with dirty water – for instance, containing sand – we recommend you use a pre-filter. You can easily add it to your order for this set. 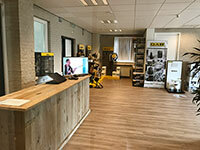 TIP is a German manufacturer that is specialised in consumer water pumps. 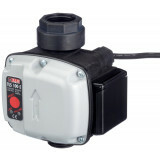 They have a very interesting range of mainly inox or stainless-steel pumps, fully aimed at the consumer market. 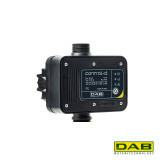 Both high-capacity submersible pumps for very competitive prices, as well as stainless-steel borehole pumps for when water has to be pumped up from a depth greater than 8 metres. TIP is also very good at helping consumers find suitable solutions. 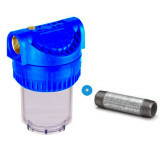 For instance, they offer certain pump sets that are ready for use straightaway. 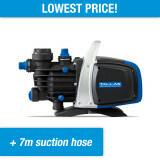 Other pumps have handy features like discharge on the top or a base plate.